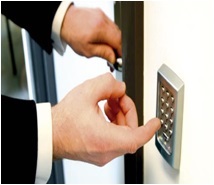 Access Control is an electronic mans of managing and controlling entry into restricted area’s and to determine who is authorized to go where. It involves the use of a programmed access device (proximity cards, keypads, remotes, biometric devices etc) to gain entry into the designated area. Regards and electronic locking devices (Magnetic Door Locks, Electronic Strikes) are installed on all areas where entry is restricted and limited, and the main control system is programmed to define the rules of entry for each user, Further to this, a historical log is recorded for each user, with a date and time stamp of each authorized entry, to each of the designated areas. Better management of OH&S risks associated with hazardous/restricted area entry. Similarly, domestic properties can also benefit from the added security by installing Access Control within their homes. 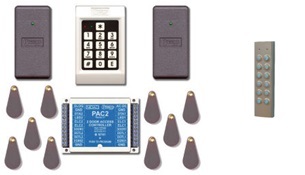 Either installed as a standalone system or linked with a Intercom System (please refer to our Intercom page for further details), access control can give you simple and secure control of who enters your home.